Sound, lights, bouncing and fun inside the inflatable Dance Dome. 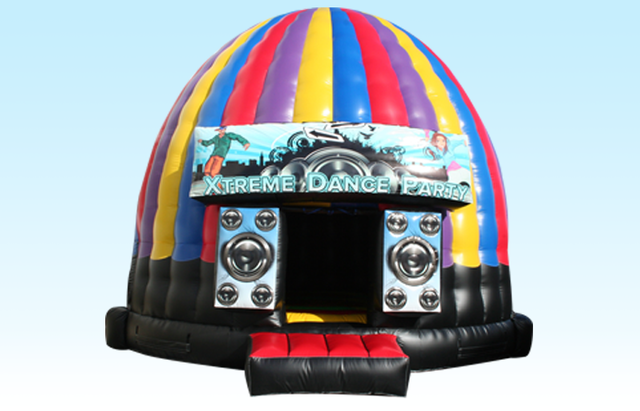 Xtreme Dance Dome is great for people of any age. Pump up your party with bouncing and dancing. The light resistant walls also offer proper ventilation through 4 air flow windows. Comes with led lights as shown on home page and amplified extra loud sound system also features a strobe light.